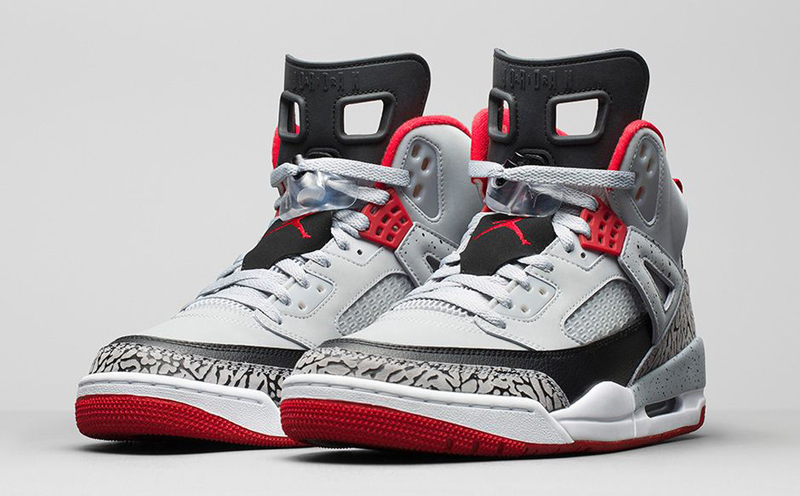 Here's an official look at the final Jordan Spiz'ike release of 2014. 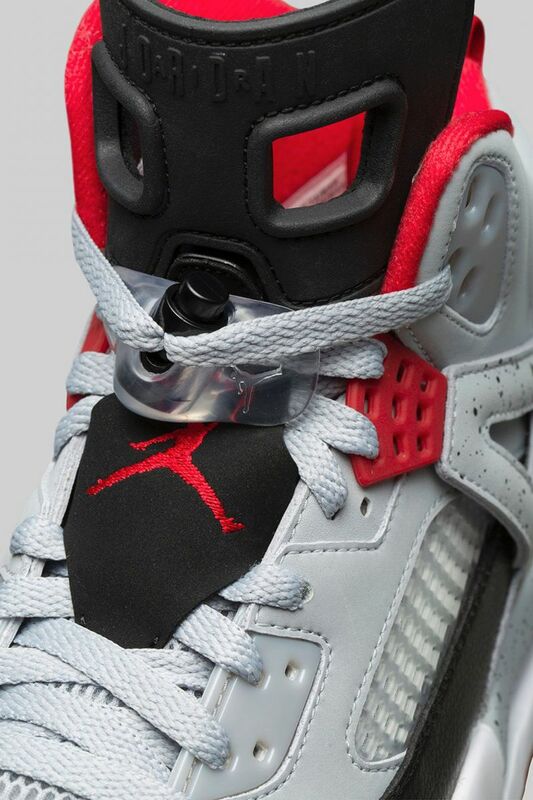 Previewed last month, today we have an official look at the final Jordan Spiz'ike release of 2014. 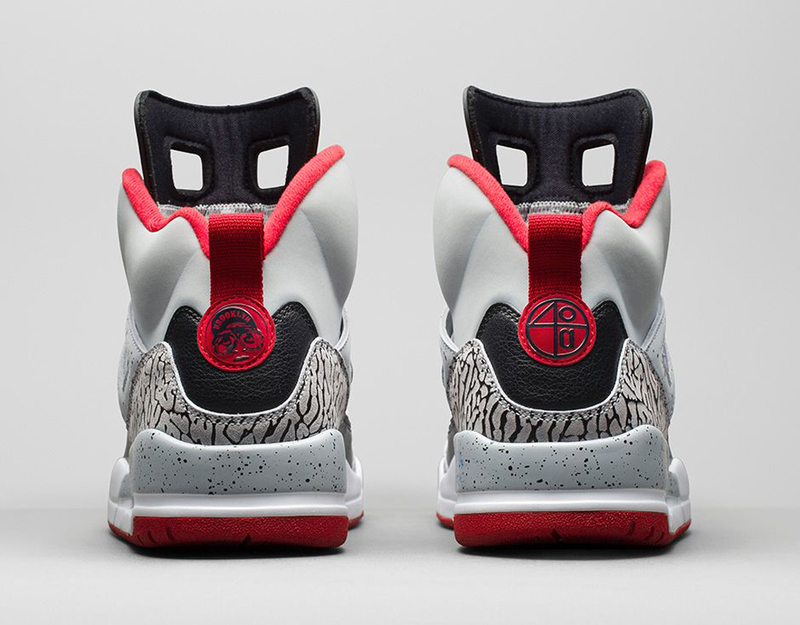 Known as the 'Wolf Grey' edition, this pair comes in a the classic grey, black, white and red color scheme. 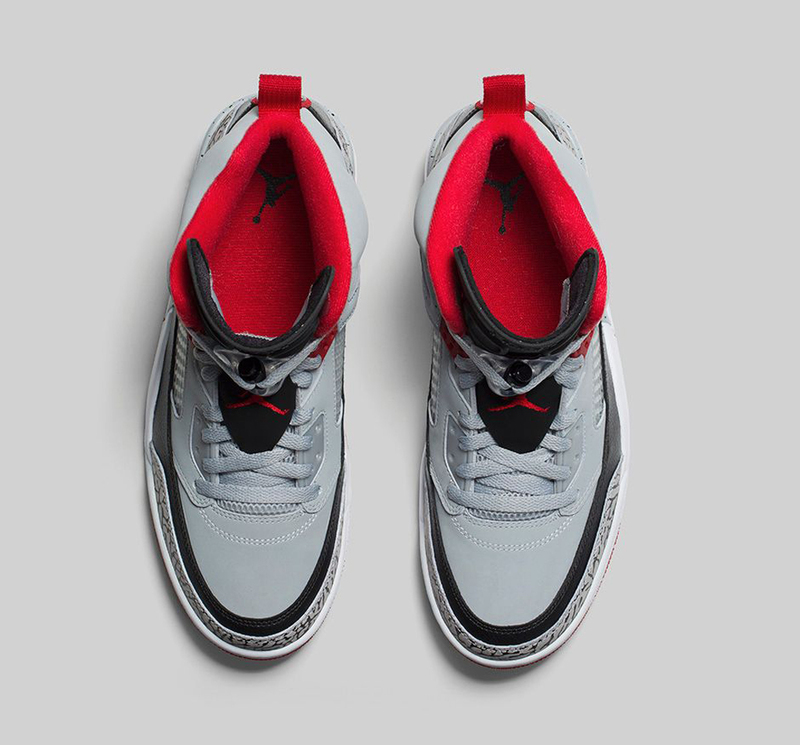 Featuring a grey-based upper with black and red accents. 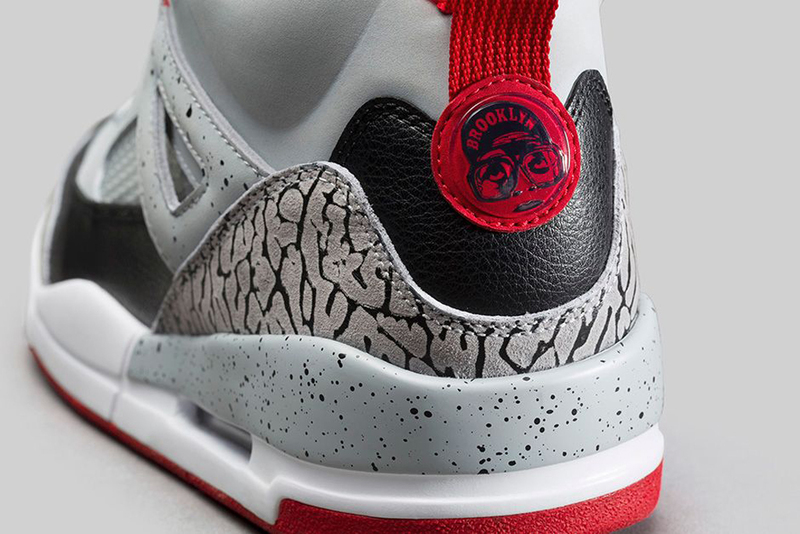 Cement print detailing on the wings and wrapping around the back heel of the midsole, elephant print in its usual places along with a white midsole and red outsole finish this pair off. 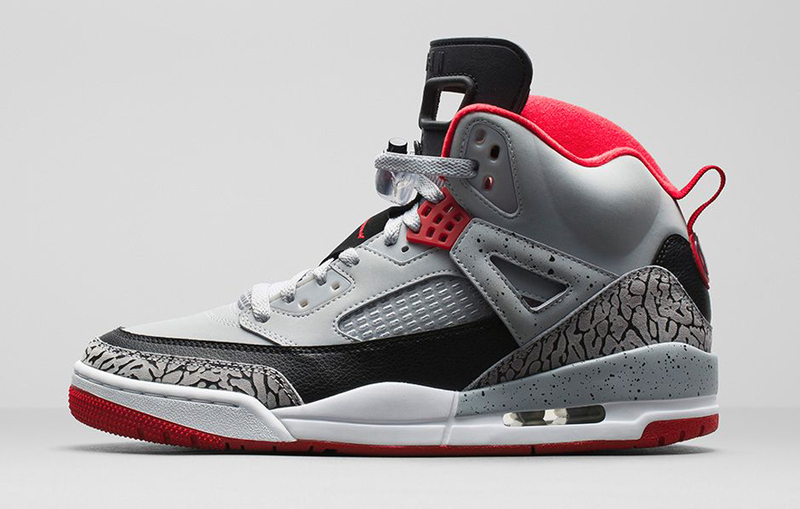 They will be available in full family sizing, from mens down to toddler. 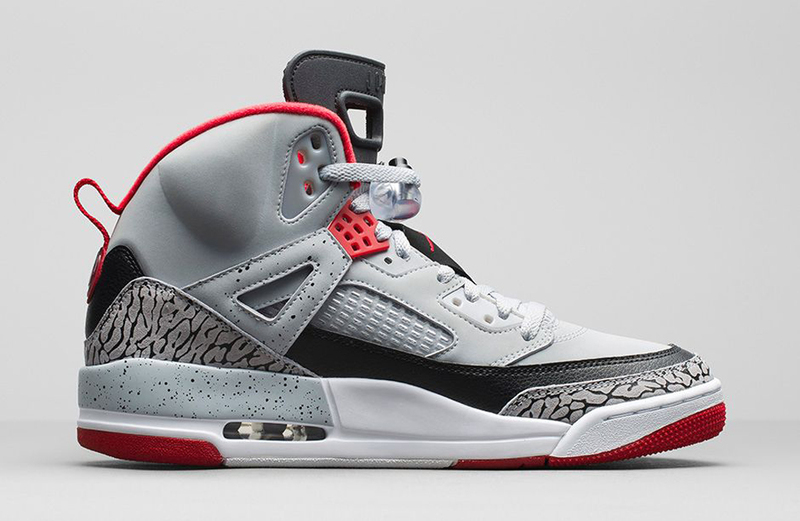 The 'Wolf Grey' Jordan Spiz'ike hits nike.com as well as select Jordan Brand retailers on Wednesday, December 10.